Prowl the disease ridden streets in Vampyr - a darkly atmospheric Action/RPG from the studio behind "Remember Me" and "Life is Strange", developed using Unreal Engine 4. Set in early 20th century Britain during a bout of the lethal Spanish flu, the streets of London are crippled by disease, violence and fear. 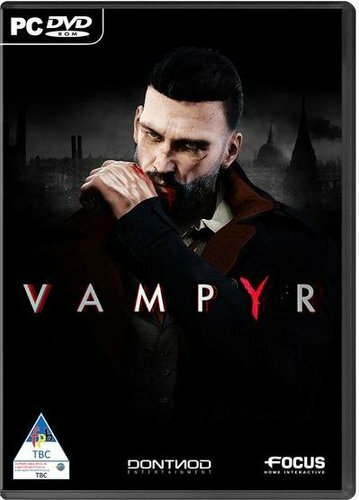 In a completely disorganized and ghostly city, those who are either fools, desperate, or unlucky enough to walk the streets lay prey to Britain’s most elusive predators: the Vampires. Emerging from the chaos, a tormented figure awakes; as the player it is you who determines how to harness your new powers, by specializing in deadly, versatile RPG skill-trees that change the way you play. Recently turned into a Vampire, an eminent doctor tries to understand his new affliction. His quest of intuition, discoveries and struggles, will be filled with death and drama, while he attempts to stem the irrepressible thirst that constantly drives him to take human lives. Explore a darkly atmospheric early 20th century London during the worst plague in human history. Play a tormented and powerful Vampire learning the rules of his new condition. A man of science, a beast of the night: Your toughest battles will be within yourself. Choose your fate: Moral choices will shape the story – how human could a Vampire be, when he must feed?